Methane emissions across the natural gas supply chain are a major climate concern. This paper focuses on the practices that natural gas distribution companies – the entities at the end of the natural gas supply line – can implement to reduce methane emissions. Rising concern over fugitive methane emissions is beginning to influence and improve companies’ methane-related practices, but methane releases remain alarmingly prevalent. Since the climate benefit of natural gas over coal is dependent on ensuring that only a small percentage of natural gas (widely accepted as 3.2% of total volume or less)2 ✕ 2Ramón A. Alvarez et al. “Greater Focus Needed on Methane Leakage from Natural Gas Infrastructure,” Proceedings of the National Academy of Sciences of the United States of America, February, 2012, 109 (17), 6435-6440, http://doi.org/10.1073/pnas.1202407109 is lost to the atmosphere across the entire supply chain, tracking and instituting measures to reduce methane emissions is vital. Our reliance on natural gas is growing as coal plants shutter and the costs of producing natural gas fall. The International Energy Agency’s (IEA) 2017 World Energy Outlook noted that under its Sustainable Development Scenario—a scenario that aims to limit global temperature rise to under 2 degrees Celsius pursuant to the Paris Agreement—natural gas is expected to become the single largest fuel source in the global energy mix by 2030. But IEA also notes that to assure the climate benefits of this rapidly expanding fuel, methane leaks across the value chain must be controlled. 3 ✕ 3OECD/IEA. World Energy Outlook 2017 (2017), 30, www.iea.org/weo2017/ Companies relying on the perception that natural gas is a “clean” fuel with less climate impact than coal may face significant reputational risks if methane emissions are not responsibly managed. While it is challenging to quantify precisely how much methane is currently released from natural gas distribution systems, the potential scope of the problem is troubling. Estimates of the extent of natural gas emissions and leaks vary widely. In recent years there has been a large number of studies and assessments performed to assess the amount of leakage from various parts of the natural gas value chain. Differing methodologies – from calculated emission factors to direct and indirect measurements -- have produced a broad range of emission estimates, 4, ✕ 4Table 4 in this report compares emissions from the natural gas system determined from the study to 2011 EPA GHG Inventory values. While it aims to show overestimation on the part of the EPA, the activity factors researchers used had up to 30% uncertainty. Brian K. Lamb et al., “Direct Measurements Show Decreasing Methane Emissions from Natural Gas Local Distribution Systems in the United States,” Environmental Science & Technology (2015), 49 (8), 5161-5169, https://pubs.acs.org/doi/abs/10.1021/es505116p. 5, ✕ 5Figure 1 in this report shows an estimate of 66 BcF loss of natural gas from the distribution sector. This corresponds to 740,000 Gg CH4, or a 200% difference from the study in previous footnote. Conversions and assumptions: 1. Natural gas can be estimated as ~94.9% CH4 by volume (A. Demirbas, Methane Gas Hydrate, Springer 2010) 2. Density of CH4 = 0.42 g/cm3 (aqua-calc.com) 3. 66 BcF natural gas = 62,00,000 McF CH4 = 740,000 kt CH4 James Bradbury, Zachary Clement, and Adrian Down. “Greenhouse Gas Emissions and Fuel Use Within the Natural Gas Supply Chain – Sankey Diagram Methodology,” U.S. Department of Energy, Office of Energy Policy and Systems Analysis, (2015), https://energy.gov/epsa/downloads/fuel-use-and-greenhouse-gas-emissions-natural-gas-system-sankey-diagram-methodology. creating uncertainty. A recent study of the National Academy of Science acknowledges the importance of understanding and managing methane emissions. 6 ✕ 6National Academy of Sciences, Engineering, and Medicine. “Improving Characterization of Anthropogenic Methane Emissions in the United States,” Washington, DC: The National Academies Press. https://doi.org/10.17226/24987. The report describes the uncertainties in existing methane data and the complex approaches involved in measuring the scope of the problem and calls for comprehensive improvements to federal methane research and reporting systems. A 2018 inventory of U.S. greenhouse gas emissions published by the Environmental Protection Agency (EPA), which is updated annually, estimates that the distribution segment accounts for 7% of the 163.5 MMT CO2 Eq. (6,541 kt) of methane released by the U.S. natural gas supply chain 2016. 7 ✕ 7U.S. Environmental Protection Agency, “Inventory of U.S. Greenhouse Gas Emissions and Sinks: 1990-2016,” (2018), https://www.epa.gov/sites/production/files/2018-01/documents/2018_complete_report.pdf. Some studies conclude that the EPA inventory data tends to understate total emissions from particular sources (the IEA’s 2017 World Energy Outlook found that the downstream sector accounts for closer to 35% of total natural gas emissions), 8 ✕ 8OECD/IEA. World Energy Outlook 2017 (2017), 427, http://www.iea.org/publications/freepublications/publication/WEO2017Excerpt_Outlook_for_Natural_Gas.pdf. while other studies find the inventory overstates emissions. Multiple factors contribute to this uncertainty including the difference between top-down and bottom-up measurement approaches, the completeness of sources inventoried, skewed distribution of leak size across distribution pipelines area (many small leaks and a few “super emitter” leaks) that limits the validity of relying on averages to infer broader conclusions, etc. 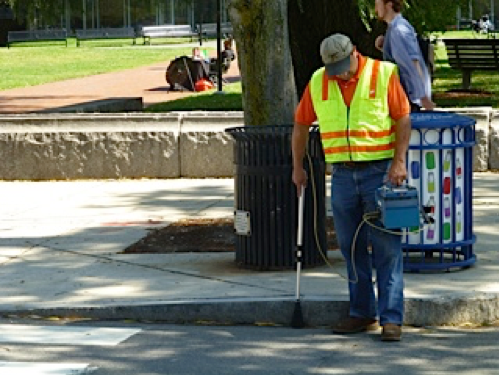 9, ✕ 9Boston University finds 7% of leaks contribute 50% of total measured CH4 emissions. Margaret F. Hendrick et al. “Fugitive Methane Emissions from Leak-Prone Natural Gas Distribution Infrastructure in Urban Environments,” Environmental Pollution (Volume 213, ISSN 0269-7491, 2016), 710-716, https://doi.org/10.1016/j.envpol.2016.01.094. 10, ✕ 10David T Allen, “Methane Emissions From Natural Gas Production and Use: Reconciling Bottom-Up and Top-Down Measurements,” Current Opinion in Chemical Engineering, (Volume 5, 2014) 78-83, https://doi.org/10.1016/j.coche.2014.05.004. 11, ✕ 11This study found three large leaks accounted for 50% of total measured emissions from pipeline leaks. Washington State University, Lamb BK, et al. “Direct Measurements Show Decreasing Methane Emissions from Natural Gas Distribution Systems in the United States,” NCBI, (2015). https://www.ncbi.nlm.nih.gov/pubmed/25826444. 12, ✕ 12This report questions use of the mean value of leak rates in determining methane emissions as not accounting for data skew. Khalid Farrag and Kristine Wiley. “Improving Methane Emission Estimates for Natural Gas Distribution Companies: Phase II PE Pipes,” Gas Technology Institute (GTI) for the Operation Technology Development (OTD), (GTI Report No. 21044, OTD Project Number 7.10.c, 2013), https://www.otd-co.org/reports/Documents/710c_OTD-14-0001-Improving-Methane-Emission-Estimates-NG-Distribution-Companies-PE-Pipes-FinalReport.pdf. 13 ✕ 13For detailed technical discussion of these issues, see G. Heath et al. “Estimating U.S. Methane Emissions from the Natural Gas Supply Chain: Approaches, Uncertainties, Current Estimates, and Future Studies,” Joint Institute for Strategic Energy Analysis (Technical Report NREL/TP-6A50-62820, August 2015), http://www.nrel.gov/docs/fy16osti/62820.pdf. A further example of such discrepancies is the EPA’s 2014 estimate that the value of gas lost due nationwide to distribution pipeline leaks was $192 million in one year, 14 ✕ 14Rick Beusse et al., ”Improvements Needed in EPA Efforts to Address Methane Emissions from Natural Gas Distribution Pipelines” US Environmental Protection Agency (Report no. 14-P-0324, July 2014), https://www.epa.gov/sites/production/files/2015-09/documents/20140725-14-p-0324_0.pdf. while a separate report found that distribution methane emissions in the city of Boston alone valued as much as $90 million annually. 15 ✕ 15Kathryn McKain et al. “Methane Emissions from Natural Gas Infrastructure and Use in the Urban Region of Boston, Massachusetts,” (Proceedings of the National Academy of Sciences: December 2014). https://www.ncbi.nlm.nih.gov/pmc/articles/PMC4343086/pdf/pnas.201416261.pdf. The fact that new monitoring equipment and methods are being developed suggests that such questions will begin to be answered with more certainty. For example, the Environmental Defense Fund (EDF) recently released a robust report finding that 2.3% of natural gas produced in the U.S. is being emitted to the atmosphere—a figure that is 60% higher than the EPA’s estimate. 16 ✕ 16Ramón A. Alvarez et al. ”Assessment of Methane Emissions From the U.S. Oil and Gas Supply Chain,” Science (June 2018), http://science.sciencemag.org/content/early/2018/06/20/science.aar7204. The diagram below displays the segments of the natural gas supply chain and presents the top methane emission sources for each sector. There is widespread consensus that aging cast iron and unprotected steel pipelines within older natural gas distribution systems are subject to significant leakage. Cast iron is 24 times more likely to leak than plastic and 78 times more likely to leak than protected steel. Unprotected bare steel is 11 times more likely to leak than plastic and 36 times more likely to leak than protected steel. 17 ✕ 17Federal Register. Rules and Regulations. Vol. 76, No. 247. December 23, 2011. http://www.gpo.gov/fdsys/pkg/FR-2011-12-23/pdf/2011-31532.pdf(Page 80595). Most local distribution companies are proactively replacing these leak-prone pipelines, but large inventories remain – over 60 thousand miles of mains nationwide. 18 ✕ 18Pipeline and Hazardous Materials Safety Administration, “Gas Distribution Annual Data - 2010 to present (ZIP),” (2016), https://www.phmsa.dot.gov/sites/phmsa.dot.gov/files/data_statistics/pipeline/annual_gas_distribution_2010_present.zip(Downloadable documents). The rate at which replacement is occurring differs significantly from company to company, or even subsidiary to subsidiary, with some companies having replacement timelines of 10 years and others up to 40 years. 19 ✕ 19Michael Reed. “Replacing Aging Pipe Remains a Big Source for Work” Pipeline & Gas Journal, Vol. 244, No. 4, (April 2017), https://pgjonline.com/magazine/2017/april-2017-vol-244-no-4/features/replacing-aging-pipe-remains-a-big-source-for-work. Most of the oldest and most leak-prone pipeline inventory is located in northeastern states. Pennsylvania and New York have the highest combined unprotected steel and cast-iron inventories, with over nine thousand miles of leak-prone mains found in each state. Replacement timeframes for these leaking pipelines are critical from the perspective of avoiding climate change. The world must reduce greenhouse gas emissions within a short window of time or suffer increasingly catastrophic harm to people and the environment, with accompanying economy wide negative impacts. Local Distribution Companies (LDCs) are increasingly aware that they must be responsible for emissions within their system. However, their related actions, policies, and disclosures remain inconsistent, due in part to technical issues with accurately and consistently measuring emissions and lost gas, costs and logistical difficulties in addressing leaking pipes or other sources of natural gas emissions, and differing actions and requirements set by local regulators. As such, public and investor pressure will continue to be important drivers of proactive industry practices to address the risks associated with methane at the end of the line. High-concentration methane leaks can cause catastrophic explosions. Safety concerns have historically been the main focus of methane emissions management for cities and other end-use distributors of natural gas. Methane leaks in contained spaces can reach concentrations high enough to cause catastrophic, deadly explosions. In the last 20 years, the U.S. natural gas distribution sector was responsible for 248 fatalities and 1,003 injuries, as well as $1.1 billion in associated expenses (including property damages to operators and others, but excluding the cost of gas lost), where many of these incidents were caused by corrosion (a common problem for aging cast iron and bare steel pipes), equipment failure, excavation damage by other entities working in the streets, or a variety of other events. 20 ✕ 20Pipeline and Hazardous Materials Safety Administration, “Pipeline Incident 20 Year Trend: All Reported Incidents: Gas Distribution,” (last modified 4/23/18), https://www.phmsa.dot.gov/data-and-statistics/pipeline/pipeline-incident-20-year-trends. One particularly tragic incident occurred in Harlem in 2014 when a natural gas explosion killed eight people, injured over 50 people, displaced more than 100 families and businesses, and destroyed two buildings. 21 ✕ 21“Con Edison Reaches $153 Million Settlement Over Fatal 2014 Harlem Blast,” Reuters, February 2017, https://www.reuters.com/article/us-new-york-conedison/con-edison-reaches-153-million-settlement-over-fatal-2014-harlem-blast-idUSKBN15V2Q8. While this incident was caused by unusual factors, including a nearby leaking sewer connection, 22 ✕ 22“National Transportation Safety Board. “Accident Report: Natural Gas-Fueled Building Explosion and Resulting Fire,” (June 2015), https://www.ntsb.gov/investigations/AccidentReports/Reports/PAR1501.pdf. it drew significant attention to the explosive risks of methane leaks. Methane is a potent climate forcing pollutant; and solutions to control emissions exist. As awareness of methane’s significant climate impacts has increased, the focus on methane emissions is now broadening beyond safety to include less concentrated leaks in less populated areas. Companies are increasingly being asked by investors, local authorities, and civil society to demonstrate how they will transition their operational practices to align with the global Paris Agreement’s vital goal of maintaining global temperature rise well below 2 degrees Celsius. 23 ✕ 23See for example, Sean Wright, “Methane rises on investors’ risk radar,” Peteroleum Economist, June 2018, http://www.petroleum-economist.com/articles/upstream/technology/2018/methane-rises-on-investors-risk-radar. Since methane is a potent, short term climate forcer, methane emissions are appropriately under increasing scrutiny as an area where significant improvements are needed and can be made cost effectively through existing and developing controls. Improvements in monitoring technologies and methods are continuing to shed light on where leaks exist; and best practices to reduce lost gas are readily available as discussed below. LDCs who do not implement such management controls will lag behind their peers. Skewed market incentives do not currently promote best practices for methane management. One controversial market practice is the billing of customers for lost and unaccounted for gas (LUAF). When LDCs are allowed to collect payments for lost and unaccounted for gas, LDCs may be less likely to make the reduction of lost gas a high priority. Broadly, LUAF is the difference between the total volume of natural gas purchased by a distribution company and the volume of natural gas that company delivers to customers. It is caused by direct gas releases to the atmosphere through leaks or other fugitive emissions (known as “lost gas”), theft, company internal use, or measurement errors. 24 ✕ 24ICF International. 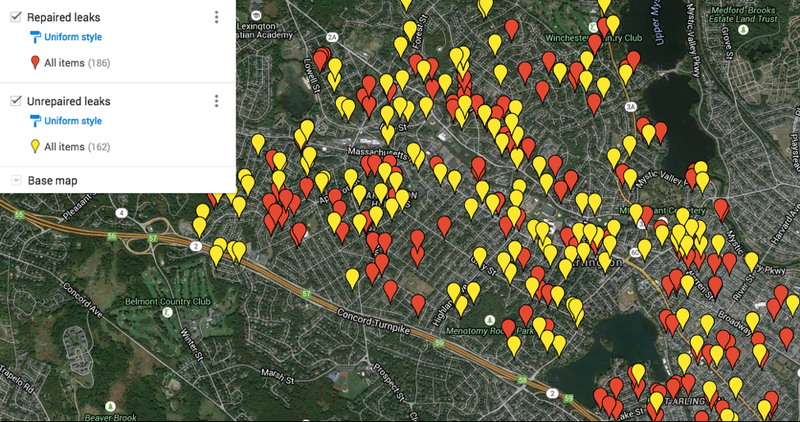 “Lost and Unaccounted for Gas,” December 23, 2014, http://www.mass.gov/eea/docs/dpu/gas/icf-lauf-report.pdf(Page i). Companies are required to report calculated LUAF metrics to the Pipeline and Hazardous Materials Safety Administration, but in almost every state, companies legally charge customers for the total volume of gas the company purchased, including LUAF. 25 ✕ 25Romany M. Webb. “Lost but not Forgotten: The Hidden Environmental Costs of Compensating Pipelines for Natural Gas Losses,” University of Texas at Austin, Texas Scholar Works, The Kay Bailey Hutchinson Center for Energy, Law and Business, April 2015, https://repositories.lib.utexas.edu/handle/2152/33371. LDCs and the EPA argue that LUAF cannot be used as a direct proxy for lost gas given calculation complications and the inability to determine what portion of LUAF is truly gas gone lost. Many LDCs calculate the amount of gas lost from their system to be insignificantly small, while other studies find it to be alarming. One report noted that “LDCs are allowed to pass on the costs of fugitive emissions to customers, at a rate of $38.8 million annually.” 26 ✕ 26Shanna Cleveland. 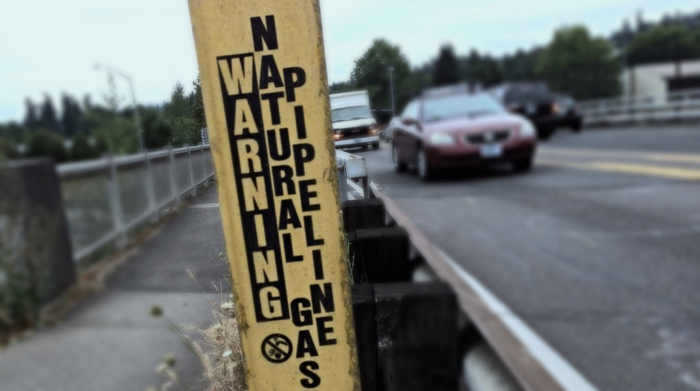 “Into Thin Air: How Leaking Natural Gas Infrastructure is Harming our Environment and Wasting a Valuable Resource,” Conservation Law Foundation, November 2012, https://www.clf.org/publication/into-thin-air/. As reporting improves, local commissions may be able to set rates that better account for true methane leakage, but currently this remains an area of concern. Thus far, only five states have set caps limiting how much LUAF can be included in retail rates, and those caps are all above the rates that most utilities typically report, limiting the impact of those laws. 27 ✕ 27Romany M. Webb. “Lost but not Forgotten: The Hidden Environmental Costs of Compensating Pipelines for Natural Gas Losses,” University of Texas at Austin, Texas Scholar Works, The Kay Bailey Hutchinson Center for Energy, Law and Business, April 2015, https://repositories.lib.utexas.edu/handle/2152/33371. Regulatory requirements likely to increase. In recent years, concerned organizations and policymakers have begun to focus legislative attention on the climate change implications of leaking natural gas pipelines and other sources of methane emissions from LDCs. States, in particular, are increasingly taking a lead role in fighting methane emissions. Since Colorado passed the first rules in the country to limit upstream methane emissions in 2014, 28 ✕ 28These aggressive rules, developed by both energy companies and environmentalists, were the first of their kind to directly regulate methane emissions, which were previously only indirectly controlled by the Clean Air Act’s air quality standards for ozone. The new air quality regulations were designed to reduce more than 60,000 tons of methane emissions per year. Included are mandatory leak repair timeframes as short as 5 days and mandatory reductions in methane emission by 95%. Stephanie Paige Oburn. “Colorado First State to Limit Methane Pollution from Oil and Gas Wells,” Scientific American, February 25, 2014, https://www.scientificamerican.com/article/colorado-first-state-to-limit-methane-pollution-from-oil-and-gas-wells/. many states have followed suit, including expanding the scope of regulatory applications downstream. Notably, Massachusetts and California proposed and passed regulations identifying natural gas distribution leaks as a climate change concern. Regulatory focus has included leak detection and repair technology, mandatory repair time frames, and limits on cost recovery for lost and unaccounted for gas. 29, ✕ 29Oregon passed SB 844 in 2013 to address the financial burden of emission abatement. This bill establishes a method for utilities to recover costs for investments on projects that achieve reduced emissions, thus creating a pivotal incentive for voluntary efforts to curb emissions. OR State Senate, SB 844 Relating to greenhouse gas emissions; Beyer, Bailey, and Read; 2014 https://olis.leg.state.or.us/liz/2013R1/Downloads/MeasureDocument/SB844/Enrolled. 30 ✕ 30Some states, including Connecticut, Ohio, Pennsylvania, Texas and West Virginia have set a cap on the amount of Lost and Unaccounted for Gas that LDCs are allowed to recover through consumer rates, where anything above a certain percentage is considered unreasonable. Romany M. Webb. “Lost but not Forgotten: The Hidden Environmental Costs of Compensating Pipelines for Natural Gas Losses,” University of Texas at Austin, Texas Scholar Works, The Kay Bailey Hutchinson Center for Energy, Law and Business, April 2015, https://repositories.lib.utexas.edu/handle/2152/33371. California ambitiously passed Senate Bill 1371 in 2014, an extensive, first-of-its-kind bill dedicated exclusively to natural gas leak abatement in the name of climate impact. 31 ✕ 31CA State Senate, “SB-1371 Natural Gas: Leakage Abatement,” Leno, 2014, https://leginfo.legislature.ca.gov/faces/billNavClient.xhtml?bill_id=201320140SB1371. This law requires the California Public Utilities Commission to develop a series of regulations, including 26 mandatory best practices, to minimize and mitigate gas leaks. 32 ✕ 32CA CPUC, “Rulemaking 15-01-008 Decision Approving Natural Gas Leak Abatement Program Consistent with Senate Bill 1371,” June 15, 2017, http://docs.cpuc.ca.gov/PublishedDocs/Published/G000/M190/K740/190740714.PDF. Given the lead of California and Massachusetts, state-level pressure is likely to increase, and since many companies operate in more than one region, it is in their best interest to adapt and prepare for such regulatory pressure. As awareness of methane’s significant climate impacts has grown, the focus on methane emissions is broadening beyond safety and explosions to include the climate impact of methane releases. Companies are increasingly being asked by investors, local authorities, and civil society to demonstrate how they will reduce the natural gas emission intensity of their operations to help align their operations with the vital goal of keeping global temperature rise well below 2 degrees Celsius. Shareholder concern also reflects the impetus to avoid the risks of explosions, being unprepared for new regulations and local policy changes, loss of valuable inventory, and growing reputational risk. Solutions to control methane emissions exist. While significant improvements are needed, the good news is that reducing methane emissions in utility distribution systems is not only possible, but can be cost effective using existing and developing equipment and controls. Improvements in monitoring technologies and methods are shedding light on where leaks exist and how extensive they are. Best practices to reduce lost gas are readily available and being adopted as discussed below. LDCs that do not implement such management controls will lag behind their peers. The IEA’s 2017 World Energy Outlook found that 40-50% of emissions from the oil and gas sector can be reduced at no net cost. 33 ✕ 33OECD/IEA. “World Energy Outlook 2017” (2017), 427, http://www.iea.org/publications/freepublications/publication/WEO2017Excerpt_Outlook_for_Natural_Gas.pdf. For example, reducing blowdowns during planned work, rapidly improving detection and monitoring technologies, and using other new and developing tools are helping companies decrease emissions and retain natural gas product in their pipelines. As methane emissions reduction research and technologies improve, investors are seeking specific disclosures to help them assess how proactively companies are responding and where significant risks remain. Quantitative reporting on methane emissions provides assurance to investors that companies have appropriate oversight and accountability practices in place to track—and therefore mitigate— the impacts of their operations. Companies implementing best practices in operations and providing transparent information about these efforts will reduce regulatory and reputational risk, enhance the likelihood of securing and maintaining their social license to operate, and reduce legal liabilities. Further, to the extent LDCs face costs, barriers, and delays related to implementing certain best practices, company disclosures can help investors understand why these practices may not be immediately implemented. The discussion provided below will help enable investors to ask probing questions regarding priority issue areas in their engagements with corporations, to robustly assess the quality of company methane emission reduction programs, and to be able to better understand risk and opportunity as it applies to particular companies. The following sections describe best practices found to result in significant positive impacts. Context is provided to elaborate on each practice, relevant questions that company reporting should answer are discussed, and examples of companies making notable progress are provided. Background: Leaks cannot be prevented if they are not monitored, known, and understood. Many pilot programs and studies have shown that advanced strategies and technologies beyond basic Audio, Visual, and Olfactory (AVO) practices can greatly improve a company’s ability to find and quantify leaks. Some of these tools include vehicle-mounted infrared technologies, helicopter or drone mounted monitoring, high-precision and sensitivity Picarro analyzers, leak extent techniques that use the bar hole method to determine relative leak size by ground area saturation, Optical Gas Imaging (OGI) cameras, leak management software, and stationary methane detectors at compressor stations, terminals, and gas storage facilities. Innovation in this space continues to improve possibilities for greater accuracy in monitoring through continuous monitoring systems and drones, among others. Benchmark: Does the company use best available monitoring technologies? What technologies are being used? On what systems? For instance, main or service pipeline systems comprised of aging, leak-prone material require enhanced monitoring approaches. Does the company report the outcomes of its monitoring? Does the company identify actions taken or planned as a result of its monitoring? Is the company undertaking any related pilot projects and does it have learnings to share? Is the company testing new monitoring equipment, and if so, what equipment and does it have results that it can describe? Best Practice Example: In its 2016 Gas Long Range Plan, Consolidated Edison describes its testing and use of the monitoring and assessment technology called Picarro, including information about the system areas to which Picarro is applied. The company notes that the benefit of Picarro is that “the equipment’s sensitivity and the use of propriety algorithms incorporating real-time atmospheric and meteorological conditions allow the system to detect methane leaks much farther from the source when compared to traditional leak survey equipment.” 34 ✕ 34OECD/IEA. Consolidated Edison. “Gas Long Range Plan,” March 2016, https://www.coned.com/-/media/files/coned/documents/our-energy-future/our-energy-projects/gas-long-range-plan.pdf (Page 36). The company continues to partner with EDF, Google, and Colorado State University to experiment with advanced leak detection technology that, “identifies problem areas faster, cheaper than before, reducing waste and emissions.” 35 ✕ 35Con Edison Media Relations & Environment Defense Fund, (EDF), “Con Edison Partners with EDF and Google to Map and Measure Methane Leaks, Prioritize Infrastructure Upgrades on NYC and Westchester Natural Gas System.” Con Edison Press Release, February 7, 2018, https://www.coned.com/en/about-con-edison/media/news/20180207/con-edison-partners-with-edf-and-google-to-map-and-measure-methane-leaks. Background: Advanced leak detection technology is only helpful if it is used with reasonable frequency. When excessively long periods pass between surveys, a leak can release methane without anyone knowing about it, recording it, or addressing it. Investors have found that the frequency with which companies survey their systems for leaks varies widely and can depend on factors like zoning. For instance, densely populated business districts are generally monitored more frequently for leaks than less densely populated areas due to greater human safety risks. Many companies conduct the bare minimum of monitoring required by their local agencies. Leading companies, though, have found it possible to complete system wide surveys quarterly or even monthly (for denser service areas) and to employ more frequent monitoring for leak-prone pipelines. Others trail behind with system survey gaps of up to five years. Benchmark: How often does the company monitor pipelines and with what equipment? What factors are included in pipeline risk assessments and how do risk assessments impact monitoring frequency or monitoring technologies used? Best Practice Example: Consolidated Edison surveys all gas distribution mains on a monthly basis. Smaller gas service lines are surveyed annually (in business districts) and every three years (in non-business districts). The company also performs additional surveys in special circumstances like extreme weather or prior to a parade. 36 ✕ 36Consolidated Edison, Gas Long Range Plan. March 2016, p.36, https://www.coned.com/-/media/files/coned/documents/our-energy-future/our-energy-projects/gas-long-range-plan.pdf. While these practices are better than most, from a climate perspective we believe that location alone, such as being further away from a business district, should not determine frequency of monitoring to the extent that such pipes may be as likely to leak methane as those closer to business districts. Background: When companies repair or replace pipelines, gas must first be released from the pipelines to ensure worker and community safety. Best practices exist that enable companies to reduce pressure in pipelines that need work by using cross-compression to move gas from high to nearby low-pressure systems or by capturing from, and later returning gas into, pipelines. These measures reduce the need for ‘blowdowns’ that release gas into the atmosphere by first reducing the amount of gas found in the problem pipeline at the time of maintenance. Cutting emissions by implementing these practices on large pipelines with a pressure greater than 60 pounds per square inch (PSI) provides companies the greatest opportunity for reducing the volume of emissions associated with pipeline blowdowns. Additional examples that reduce methane emissions from routine operations include deployment of advanced meters that enhance customer-level leak detection and implementation of safety standardization programs to reduce the risk of accidental damage to pipelines during local excavation work. Benchmark: In what ways does the company minimize emissions from planned work or routine operations? Are employees trained or incentivized to use best practices for reducing emissions during maintenance or repairs? 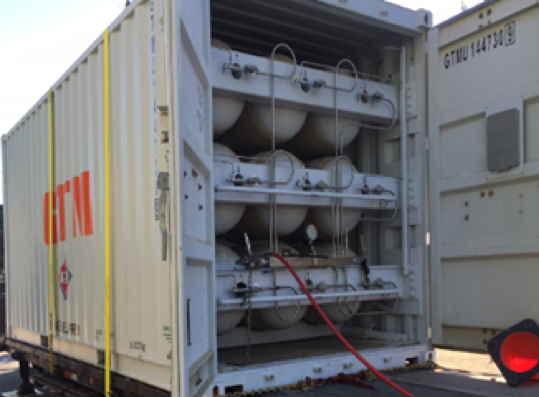 Best Practice Example: SoCalGas, a Sempra subsidiary, successfully reduces emissions from blowdowns by either compressing gas or capturing it in pods or ‘tube trailers’ and then re-introducing it back into the pipeline once work is complete. SoCalGas has also been introducing smart meters that help identify ‘behind the meter leaks’ (leaks that occur on the owner’s property instead of on the side of utility and grid). 37 ✕ 37Southern California Gas Company, “2018 Leak Abatement Compliance Plan.” March 15, 2018. https://www.socalgas.com/regulatory/documents/r-15-01-008/SB_1371_SoCalGas_2018_Compliance_Plan-FINAL_March_15_%202018.pdf. Another example of a routine operational best practice is the Gold Shovel Standard program. This practice initiated by PG&E, addresses leak safety during excavations by setting standard processes for contractors that minimize risks of running into underground pipelines. Such processes involve alerting relevant agencies of the existence of hidden pipelines so they can be marked and avoided during digging work. 38 ✕ 38PG&E External Communications, “PG&E’s Gold Shovel Standard Paves the Way for Safe Excavation,” August 11, 2014, https://www.pge.com/en/about/newsroom/newsdetails/index.page?title=20140811_pges_gold_shovel_standard_paves_the_way_for_safe_excavation. Background: LDCs are generally required by state-level authorities to identify and categorize leaks, most often using a three-tiered, graded system that rates leaks as either hazardous (Type 1), non-hazardous with the potential to become hazardous (Type 2), or non-hazardous and expected to remain as such (Type 3). According to state regulations, LDCs are generally required to repair leaks identified as “hazardous” (i.e., concentration levels high enough to be at risk of explosion and found in densely populated areas) immediately or to monitor the leak continually until it has been repaired. States have variable requirements around whether or not companies are required to repair non-hazardous (Type 2 or 3) leaks, and if so, within what timeframe. Companies are sometimes required to repair Type 2 leaks within a year or two, while many states do not require Type 3 leaks to be repaired at all. Given the climate implications of non-hazardous leaks, and the lack of regulatory impetus to address them, investors seek greater information on this important issue. Proactive companies repair Type 3 leaks within a few months. Other companies tend to simply monitor Type 3 leaks over time, while repairing Type 1 and 2 leaks within the bare minimum timeframes required by regulation. Important considerations exist as to repair times. For example, certain Type 3 leaks may not warrant immediate action where the repair work itself is likely to create larger emissions, such as where large volume blowdowns are required because leaks are located far from valves; or where it is not possible to minimize pressure by moving gas into any nearby low-pressure systems. Where this is the case, such information is important to shareholders. Benchmark: Does the company repair its Type 3 leaks and what are its protocols for doing so? How quickly does a company repair its Type 2 (and 3, if applicable) leaks and how does it prioritize which leaks to repair? Does the company coordinate to execute repairs in sync with other utility repair projects in the same area or other relevant factors? Best Practice Example: Eversource, National Grid, and NiSource recently worked with local nonprofits Mothers Out Front and Home Energy Efficiency Team (HEET) on a pilot project in which a Shared Action Plan was created. The Plan provides a timeframe for leak repair within 1 to 2 years for Type 3 large volume leaks as determined by the leak extent method. 39 ✕ 39HEET, “Shared Action Plan,” (accessed 4/25/2018), https://heetma.org/gas-leaks/fix-big-gas-leaks/shared-action-plan/. While this outcome is a positive example of collaboration and commitment to improvement, shorter timelines would be preferable. For example, Consolidated Edison averages a repair time of less than 40 days for its Type 3 leaks, an average that it is continuing to improve. 40 ✕ 40Consolidated Edison, “Sustainability Report.” (2016-2017), https://www.conedison.com/ehs/2016-sustainability-report/files/Full_ConEd_SR_2016-2017.pdf. Background: As described above, aging pipelines made from cast iron and unprotected bare steel are prone to leaks. Given that many factors can complicate leak-prone pipe replacement rates -- including but not limited to regulatory approvals of cost recovery, ratepayer impacts, community impacts associated with construction activities, and skilled labor shortages -- investors need clear information on companies’ plans for replacing aging infrastructure. Companies’ replacement programs run the gamut -- from unacceptably long periods of more than 20 years to timeframes of under 10 years. The EPA’s Methane Challenge has identified leak-prone pipeline replace as one of its Best Management Practices. Companies that are part of the Methane Challenge frequently disclose their percent per year replacement goals established and reported through the program, rather than their actual rates. Unfortunately, the Methane Challenge program’s suggested goals depend on the size of a company’s aging inventory and are almost always lower, less ambitious replacement rates than what the companies are currently achieving. It is important for companies to set truly ambitious targets regarding pipeline replacement and be transparent about ultimate timelines, in addition to discussing yearly progress. While local regulatory commissions may be hesitant to approve accelerated replacement programs that require high up-front investments and increased costs to customers, some proactive companies have worked successfully with commissions to develop progressive financial incentive programs that reward companies for meeting or exceeding set pipeline replacement goals. Benchmark: Has the company provided a timeline and yearly goals for replacing at-risk pipes? Is the company’s progress in eliminating leak-prone pipelines from its systems in line with climate needs and leading peers? Has the company described what current constraints may be limiting its progress and how the company is addressing such constraints? How are pipeline replacement prioritization decisions made and are alternative methods to replacement being used, such as flexible insert liners or leak volume assessments? Best Practice Example: Several leading utilities including PSE&G and National Grid are integrating leak survey data into their risk assessments for replacement of leak-prone pipes. 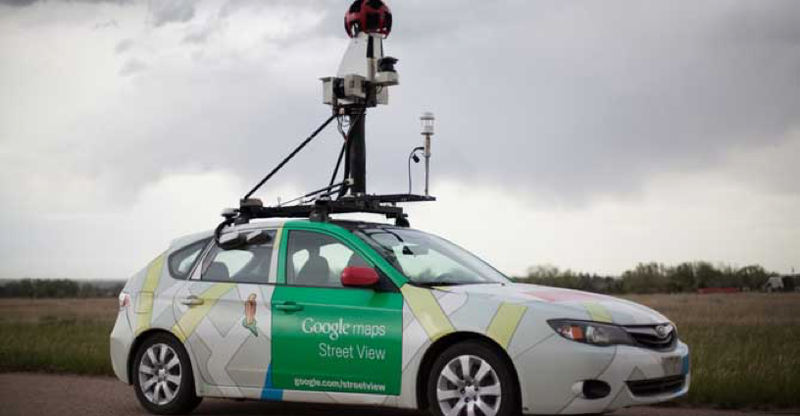 Both companies have worked with EDF and Google on pilot projects using technology to measure not only the quantity of leaks, but also the volume of gas leaking to determine the priority level of replacing specific pipes. In this way, they are able to replace the worst-emitting pipelines first. 41 ✕ 41Environmental Defense Fund, “PSE&G Teams with Google, EDF to Stop Methane Leaks,” December 2016, https://www.prnewswire.com/news-releases/pseg-teams-with-google-edf-to-stop-methane-leaks-300377189.html. In terms of timeline, Consolidated Edison provides a description of its plan to replace all cast iron and unprotected steel pipeline mains, companywide, by 2036, 42 ✕ 42Consolidated Edison, “Gas Long Range Plan,” March 2016: 32, https://www.coned.com/-/media/files/coned/documents/our-energy-future/our-energy-projects/gas-long-range-plan.pdf. and Exelon provides its detailed plan to do so by 2037. 43 ✕ 43Exelon, “Replacement Program and Timeline Details,” http://www.exeloncorp.com/sustainability/Documents/Replacement_program.pdf. While other companies have provided shorter timelines that apply to either just one of their subsidiaries or to just one type of pipeline material (either cast iron or bare steel), leadership on companywide replacement of all leak-prone inventory remains lacking. Background: Methane emissions can be reported as an absolute quantity or as an intensity rate. Shareholders believe both are important measures that should be reported by companies, as they each provide distinct benefits. Absolute emissions reporting provides clear information on the environmental impact of a company’s operations. The larger the absolute emissions are, the more important it is for the entity to be vigilant and take effective and proactive actions. Absolute emissions are often reported in metric tons of CO2e or million standard cubic feet. Methane intensity reporting, i.e., emissions as a percentage of gross production or throughput (throughput is often reported by LDCs as sales or deliveries), 44 ✕ 44Exact calculation methods for methane intensity continue to evolve, so it is important for a company to clarify how it performs this calculation and what the company incorporates into both the numerator and denominator of the intensity ratio.. is a measure of the efficiency of a company’s system with regard to methane leaks. This rate provides an important measure of comparability between companies, which cannot be achieved by comparing absolute methane emissions, which vary based on the size of a company. Further, studies often point to a 3.2% supply chain leakage threshold beyond which natural gas is no longer a more climate-beneficial option than coal. 45 ✕ 45Ramón A. Alvarez et al. “Greater Focus Needed on Methane Leakage from Natural Gas Infrastructure,” (Proceedings of the National Academy of Sciences of the United States of America, 109 (17), February 2012) 6435-6440, http://doi.org/10.1073/pnas.1202407109. This reality underscores the importance of disclosing a methane emissions intensity metric. Additionally, providing such intensity metrics for each segment of the natural gas supply chain helps investors understand which operations are contributing more to climate change and where significant methane risks are found for companies with operations in more than one stage of the supply chain. Benchmark: Does the company report its methane emissions intensity rates and yearly absolute emissions? Does it report such measures by operational or business segment? Best Practice Example: Southern Company’s recent “Planning for a low-carbon future” report provides the company’s intensity rate of 0.25% and its absolute 2016 emissions totaling 1,900 million standard cubic feet (MMscf). 46 ✕ 46Southern Company. “Planning for a Low-Carbon Future,” (April 2018), 22, https://www.southerncompany.com/content/dam/southern-company/pdf/corpresponsibility/Planning-for-a-low-carbon-future.pdf.. Dominion’s updated Methane Management Report discloses absolute and intensity emissions data for each of its natural gas business segments. 47 ✕ 47Dominion Energy, “Methane Management Report,” (Revised May 3, 2018), 8, https://www.dominionenergy.com/library/domcom/media/community/environment/reports-performance/methane-management-report-2017.pdf. Background: As data and research gathered on methane emissions from the field gain rigor, methods for quantifying fugitive methane emissions are becoming increasingly robust. Yet, the EPA’s current methane emissions reporting mechanisms still rely on estimated, standardized emission factors. It is important for investors to understand how each company calculates its emissions, i.e., are all calculations based on EPA emissions factors? Or do they include direct measurements, which tend to be more accurate than engineering estimates, or some hybrid approach? Some proactive companies have participated in pilot studies or are otherwise using actual measurements to quantify emissions not captured in required EPA reporting. This can benefit companies whose equipment and/or systems are newer or more efficient than the average company by documenting lower emissions than would be calculated by standard emissions factors. Disclosing how a company regularly measures methane emissions across all sources, and uses that data to improve programs, helps investors better evaluate a company’s progress. In cases where a company gathers actual data through reliable methods, and reports using that data, investors will gain a more accurate picture of the company’s emissions. Companies that rely wholesale on EPA emissions factors may be missing important opportunities for improving their systems or may be over- or under-reporting actual emissions. Benchmark: Does the company directly measure its methane emissions, including fugitive emissions, and if so for which portion(s) of its operations does it do so? How does the company calculate methane emissions as reported to the EPA or shareholders? Are stated emissions verified by a third party? Best Practice Example: Dominion’s 2017 Methane Management Report notes that reported emissions are in line with the EPA’s Greenhouse Gas Reporting Program (GHGRP) protocol. The company further lists the multiple ways it measures, calculates, and estimates emissions including actual field measurements and engineering estimates. 48 ✕ 48Dominion Energy, “Methane Management Report 2017.” 7, https://www.dominionenergy.com/library/domcom/media/community/environment/reports-performance/methane-management-report-2017.pdf?la=en. This informative list would benefit from more clarity on how the distinct methods are combined to provide the most accurate reporting possible. Background: Investors believe that target setting and reporting on progress in attaining targets is critical to creating sustained momentum within companies for methane emissions reductions. Due to the unique properties of methane, such as its short term, powerful climate forcing nature, shareholders suggest that companies set standalone methane reduction targets in addition to CO2e GHG targets. 49 ✕ 49Environmental Defense Fund, “Taking Aim: Hitting the Mark on Oil and Gas Methane Targets,” (April 2018), https://www.edf.org/sites/default/files/documents/EDF_TakingAim.pdf. While companies may be concerned that certain unanticipated events could affect a company’s ability to meet a target, investors are sophisticated enough to understand that there are reasons why targets may not be met in any given year, including expansion of systems due to mergers or purchases. Companies should adopt and disclose ambitious, quantitative, and time-bound targets and discuss whether they were met and, if not, why. The act of setting and taking appropriate actions toward achieving ambitious targets is viewed as a critical means of realizing progress. Some best practices to support achieving targets are to provide training on, and economic incentives for, emissions reductions to management and field staff. Again, both intensity and absolute approaches to target setting provide investors with information to understand the company’s ambitions. Intensity targets demonstrate a company’s ability to become more efficient regardless of the size of the company, making such targets easier to compare. Absolute targets better guarantee certainty of climate change impacts such that, even as distribution systems and operations expand, methane emissions must still decrease to the extent feasible. Both targets are helpful and can be accompanied by enhanced discussion allowing investors to understand how such targets were determined and how success in attaining those targets is being achieved. Benchmark: What methane targets (both intensity and absolute) has the company set, by what year, and off of what baseline? How did the company set that target? Year on year, is the company on track and reporting progress toward achieving that target? If not, has the company explained the factors that prevented or reduced success in meeting targets? All reduction targets should include a stated baseline from which the target is measured. Best Practice Example: As of this report, Southern Company and National Grid are the only two distribution companies that have joined the ONE Future program. The ONE Future program outlines a 1% leakage rate goal across the natural gas supply system by 2025 and specifies distribution-specific intensity goals of 0.48% by 2020 and 0.44% by 2025, where emissions intensity is defined as methane emissions divided by throughput. 50 ✕ 50ONE Future, “Methane Emissions Estimation Protocol.” (August 2016), http://onefuture.us/wp-content/uploads/2018/05/ONE-Future-Methane-Intensity-Protocol-v-1-2016.pdf. Southern’s recent climate report noted that its intensity rate is already below this target. 51 ✕ 51Southern Company, “Planning for a Low-Carbon Future.” (April 2018), 22, https://www.southerncompany.com/content/dam/southern-company/pdf/corpresponsibility/Planning-for-a-low-carbon-future.pdf. NiSource has committed to reducing absolute methane emissions from gas distribution mains and services by 50% by 2025 from a 2005 baseline and has reported that it is on track to meet this target with reductions of 28% achieved by 2016. 52 ✕ 52NiSource Inc, “Climate Change 2017 Information Request,” (CDP, 2017), https://www.cdp.net/en/responses?utf8=%E2%9C%93&queries%5Bname%5D=nisource. Exelon recently became the first LDC to set both an absolute methane target (100,000 mtCO2e (4,000 mt methane)) by 2022 from a 2017 baseline, and an intensity target of 0.32% by 2022 from 2017’s 0.40% baseline. 53 ✕ 53Exelon, “Methane Emissions from Exelon Utility (BGE, PECO, DPL) Gas Distribution Systems,” http://www.exeloncorp.com/sustainability/Documents/GHG_emission_and_intensity.pdf. Background: The above practices should be incorporated into a comprehensive policy that strategically guides the company’s methane management actions beyond one-off projects and trials. Companies should be explicit and clear about their position on climate change and how strategic methane management aligns with that position. Beyond internal policy, whenever possible, companies can constructively engage with relevant regulatory agencies and other external stakeholder groups to promote a greater industrywide adoption of best practices. Companies can do this through voluntary group initiatives like the EPA Natural Gas STAR and Methane Challenge and/or ONE Future Programs. They also participate in groups like M.J. Bradley’s Downstream Natural Gas Initiative and in studies with environmental groups and academic institutions. 54 ✕ 54Many leading companies have joined group initiatives, working together and with external stakeholders to improve knowledge sharing and capacity building related to methane management. The EPA Natural Gas STAR and Methane Challenge Programs bring together 152 companies, encouraging voluntary action (https://www.epa.gov/natural-gas-star-program/meet-our-program-partners). The Methane Challenge offers two options to sign on: 1) committing to one or more specific, best management practice; or 2) joining the ONE Future Coalition and setting segment-specific emissions intensity targets that align with a U.S. goal of limiting methane emissions from the onshore natural gas value chain to 1% by 2025 (https://www.epa.gov/natural-gas-star-program/methane-challenge-program). Others have participated in M.J. Bradley’s Downstream Natural Gas Initiative (https://mjbradley.com/content/downstream-natural-gas-initiative), studies with the Environmental Defense Fund and universities (https://www.edf.org/sites/default/files/methane_studies_fact_sheet.pdf), and pilot projects such as that driven by NGO partners Mothers Out Front and HEET (https://heetma.org/gas-leaks/fix-big-gas-leaks/)). While EPA programs such as the Methane Challenge aim to improve transparency and hope to finally publish company data in the near future, delays and obstacles have thus far impeded the program from making participant data publicly accessible, further emphasizing the importance of direct reporting from companies. A recent ‘Guiding Principles’ plan outlining a set of voluntary methane reductions was created and adopted by an international group of companies; the Guiding Principles explicitly identify a need to focus on the complete supply chain. 55 ✕ 55Climate and Clean Air Coalition, “Reducing Methane Emissions Across the Natural Gas Value Chain,” (November 2017), http://ccacoalition.org/en/resources/reducing-methane-emissions-across-natural-gas-value-chain-guiding-principles. Additionally, a policy of proactive, constructive engagement with local commissions can be important, especially with less climate-cognizant commissions. Companies can also provide input through legislative proceedings during policy-setting processes or assist with the education of rule-makers such that they support best practices, creating a level playing field for companies. Participation in voluntary initiatives also demonstrates a company’s commitment to progress; however, the need for robust disclosure on tangible action remains. Additionally, LDCs should consider requiring certain methane reduction measures or specific levels of operational efficiencies from upstream suppliers. LDCs are uniquely positioned to apply pressure and demand best practices of the companies extracting and supplying natural gas into their systems. Benchmark: Does the company have a clear position on climate change and has it established and published methane policies and practices that support such position? Does the company voluntarily engage with external groups to promote knowledge sharing and best practices for methane management? Does the company engage with its suppliers to request best practices to limit methane emissions from upstream natural gas production? Does the company have a proactive program with regulatory commissions or key political entities to help educate and encourage climate-friendly regulations and practices? Best Practice Examples: PG&E created its “Climate Change Policy Framework” in May of 2006, in which the company commits to “[lead] by example when it comes to climate change. That means more than just minimizing the greenhouse gas emissions from our operations. It also means maximizing the opportunity we have to lead on efforts to establish responsible policies and programs to address global climate change.” 56 ✕ 56PG&E Corporation, “Climate Change Policy Framework,” May 2006, https://www.pge.com/includes/docs/pdfs/about/environment/pge_climate_change_policy_framework.pdf The company notes its participation in the EPA Methane Challenge Program and other stakeholder dialogues in its 2017 Corporate Responsibility and Sustainability Report. 57 ✕ 57Pacific Gas and Electric Company, “Together, Building a Better California,” (2017): p 130-131, http://www.pgecorp.com/corp_responsibility/reports/2017/assets/PGE_CRSR_2017.pdf, 58 ✕ 58David R. Baker, “PG&E Hit With $97.5 Million Penalty Over Back-Channel Talks With Regulators,” San Francisco Chronicle, (April 2018), https://www.sfchronicle.com/business/article/PG-E-hit-with-97-5-million-penalty-over-12866803.php.. PG&E further details how it plans to incorporate required CPUC standards and best practices regarding methane in its required 2018 Gas Safety Plan and its 2018 Leak Abatement Compliance Plan. 59 ✕ 59Pacific Gas and Electric Company, Case Document Search Results (March 15, 2018), https://pgera.azurewebsites.net/Regulation/search. Search: “Gas Pipeline Safety OIR [R.11-02-019]” from case dropdown menu; “PGE” from party dropdown menu; Dates from “03/15/18” to “03/15/18”. While the concept that LDCs can work with suppliers to reduce emissions from further up the supply chain is relatively new, this is a practice that companies participating in M.J. Bradley’s Natural Gas Supply Collaborative are actively exploring. The participating companies include: Austin Energy, Calpine Corporation, Consolidated Edison Company of New York, CPS Energy, Énergir, Los Angeles Department of Water and Power, National Grid, NRG Energy, NW Natural, Pacific Gas and Electric Company, Vermont Gas, and Xcel Energy. 60 ✕ 60M.J. Bradley & Associates, LLC, “Natural Gas Supply Collaborative,” Accessed June 2018, https://mjbradley.com/content/natural-gas-supply-collaborative. Given their significant global warming potential, tackling methane emissions is one of the most critical actions the energy sector can take in the short term. Emissions from this end of the natural gas supply chain demand a quick, proactive response from the companies responsible for their associated risks. Companies who make meaningful progress in this area and publicly communicate their actions will be well-positioned to lead the way in an energy market that increasingly values low emission operations. This report is designed to help create a consistent set of benchmarks around which thorough and effective reporting can occur, and which shareholders can use in assessing companies’ progress. Inconsistencies in companies’ management practices and reporting methods have historically made it challenging for investors to obtain a clear sense of fugitive methane risk from LDCs. More comprehensive disclosures in the areas described above will add clarity and enable accountability in this evolving field. Moving ahead, investors look forward to continuing to engage with companies to ensure methane management risks are adequately addressed. Companies who make meaningful progress in this area and publicly communicate their actions will be well-positioned to lead the way in an energy market that increasingly values low emission operations. This report was made possible by the generous support of the Educational Foundation of America, Marisla Foundation, New Belgium Family Foundation, Park Foundation, Shugar Magic Foundation, Threshold Foundation, Tides Foundation, and Wallace Global Fund. Additional support was provided by the Arntz Family Foundation, The Keith Campbell Foundation for the Environment, Firedoll Foundation, Hanley Foundation, The Libra Foundation, The Roddenberry Foundation, Roy and Patricia Disney Family Foundation, and Singing Field Foundation. This report has benefited from the suggestions of outside reviewers. Their input does not imply an endorsement of content or conclusions expressed within, which remain exclusively with the authors. They include (in alphabetical order by last name with affiliations for identification purposes only): Joe von Fischer (Colorado State University), William Slade (Consolidated Edison), Kate Gaumond (Environmental Defense Fund), Sean Wright (Environmental Defense Fund. We would like to also thank the additional professionals from industry and other sectors who provided reviews. Any errors or omissions are solely the responsibility of the authors. Special thanks to Kristal Celik for her detailed research support. We would also like to thank Miriam Holzman-Sharman for copy-editing and Cyrus Nemati and Zoey Olbum (As You Sow) for communications support. We would also like to thank Sarah Weingust for creating this online version of the report.